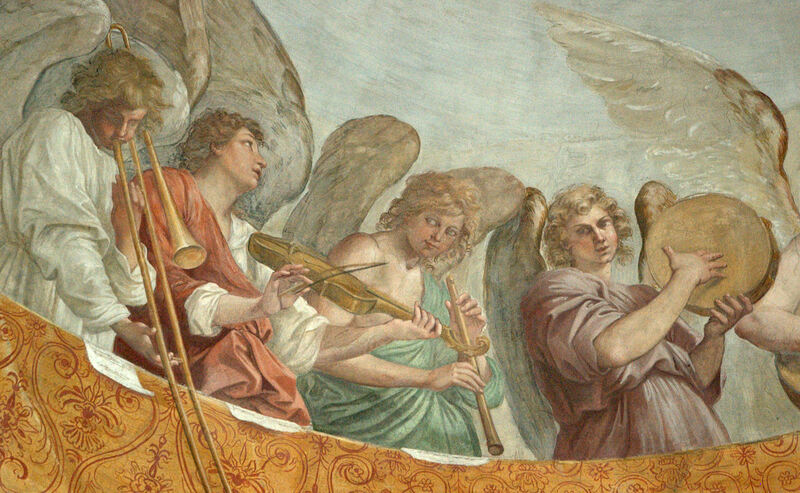 Here are the most recent additions to the post, Serpent & Ophicleide: History and Images, where there are now more than 150 examples. Enjoy! 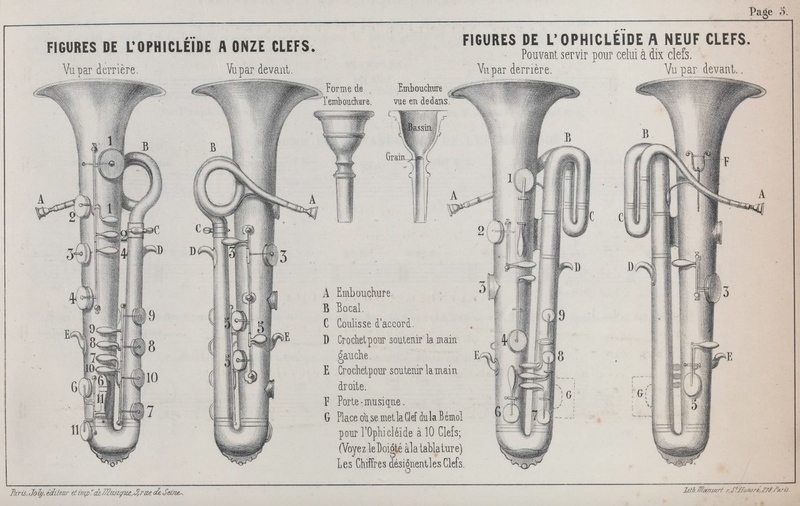 1855—Paris, France: Henri C. de Ploosen’s ophicleide method book, Nouvelle méthode d’ophicléide, is published. 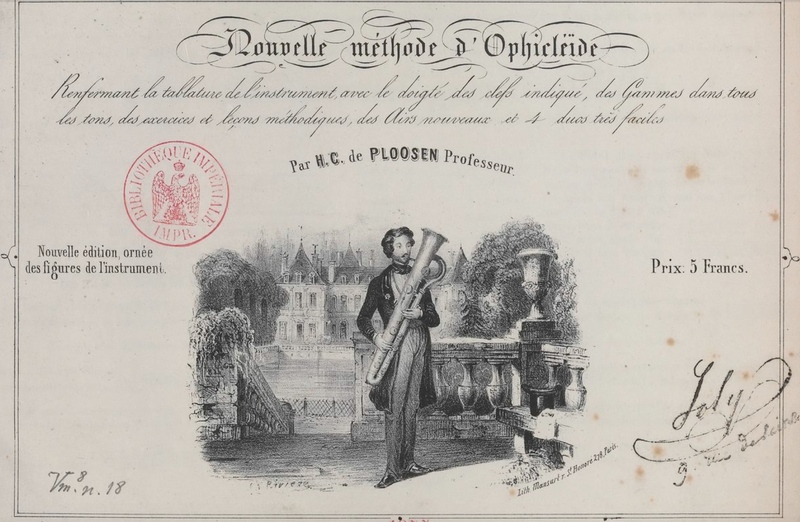 In addition to the image on the cover, a separate page features images diagramming the ophicleide and mouthpiece (see below images; public domain) (Ploosen cover and 5). 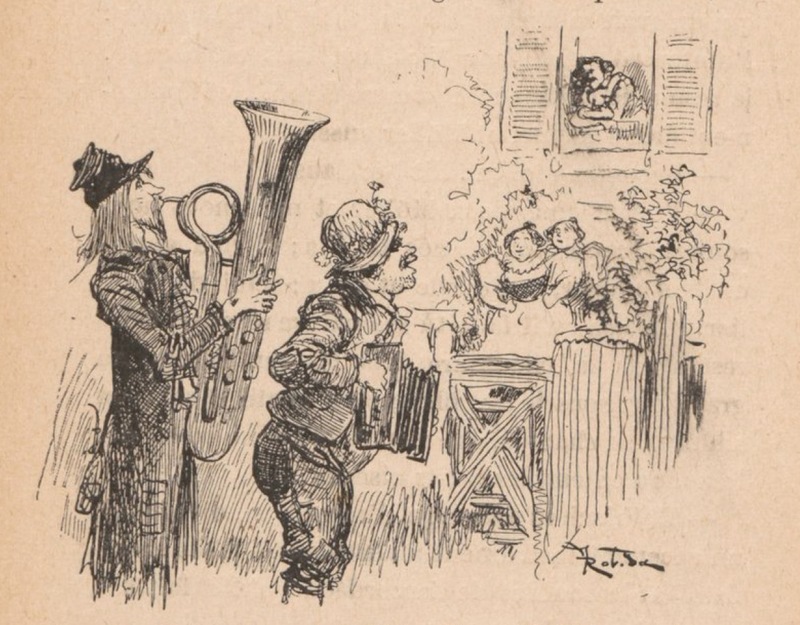 1909—Paris, France: A. Robida’s Le Patron Nicklaus, with illustrations by the author, includes an illustration of ophicleide participating in a serenade (see below image; public domain) (Robida 267).